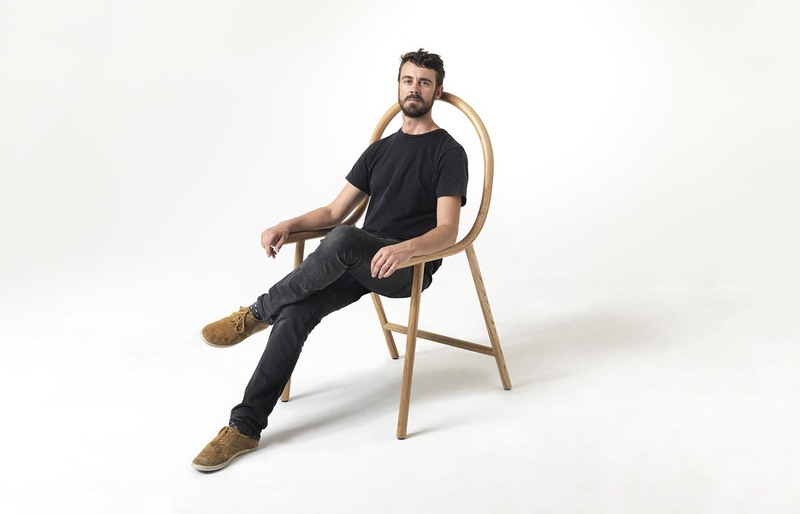 ‘ARM’ Chair as Anti-Chair – Are You Sitting Comfortably? Its name says it all – though a play on everyone’s familiar notion of a chair, this is no ordinary armchair. Basically, it has arms – (unlike armchairs, not all chairs have arms) – but it has no seat. Hence ‘Arm’. Here is Bardsley, reclining in his own creation. You can do this too if you are very louche – and athletic. Is he floating in air? Or does he have very strong arms? 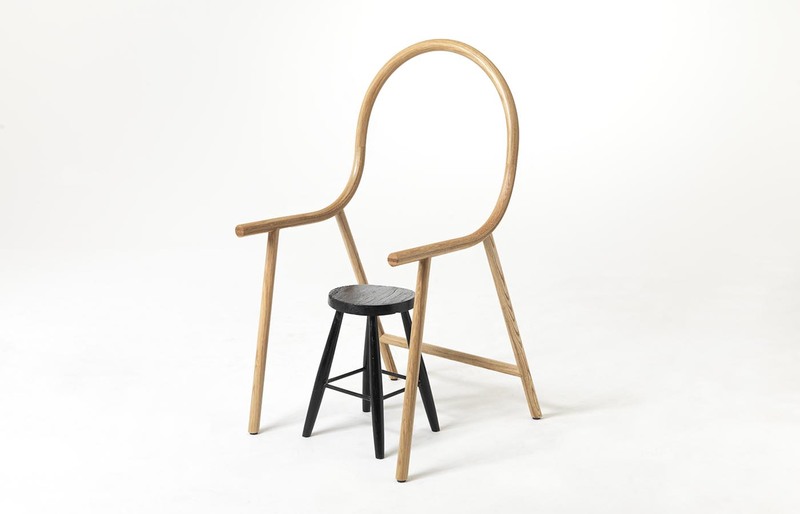 So, what was Bardsley’s inspiration for the creation of his anti-chair? 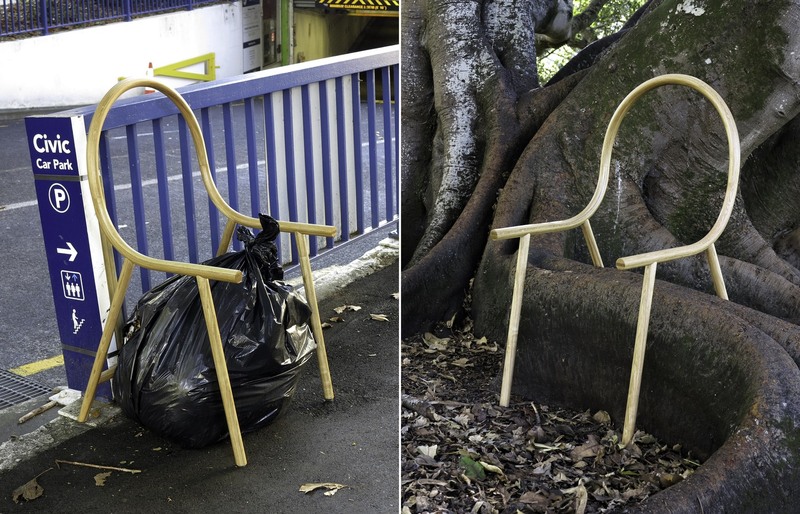 You may think better of actually putting the ‘Arm’ chair outside with the trash – garbage collectors may just not see the irony of a chair without a seat, especially one with a rubbish bag attached to it. But it’s actually a great outdoor arm chair. 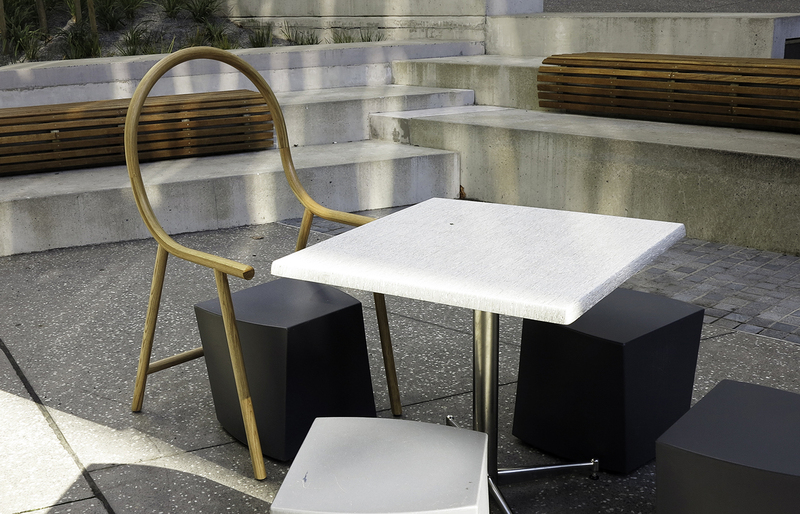 Its light, versatile – pop it on top of your favorite stool, log or bucket – and you can rest your arms. 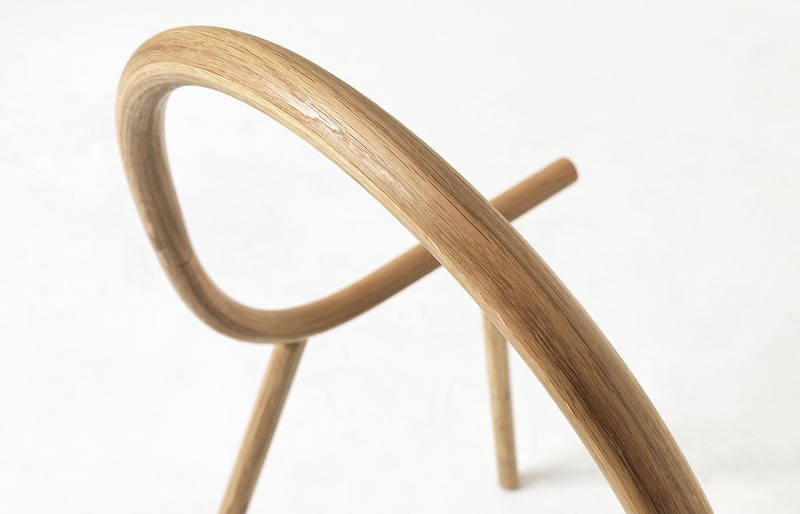 To create this “outline or symbol of a chair, produced in fine American Oak,” the wood was fashioned into strips which were steamed together, then glue laminated into curves. These curved forms were machined into rounds and finished with a sander, then joined together using rail bolts. The legs were then shaped and glued on. 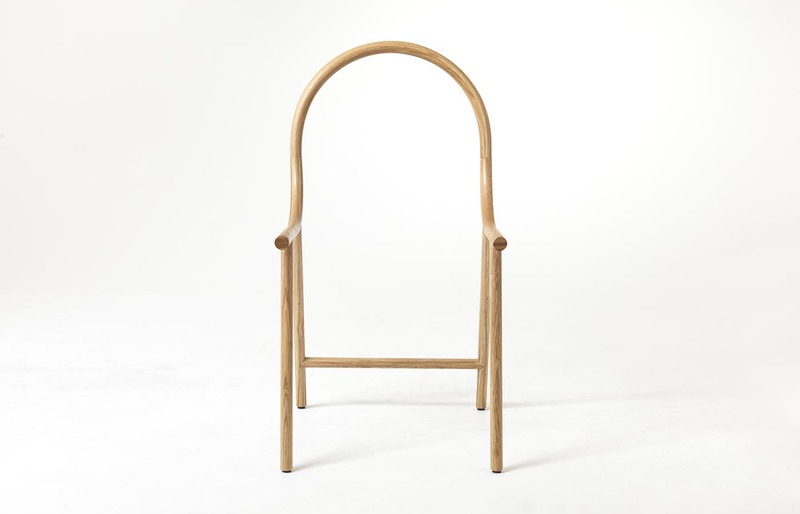 So, why was Bardsley compelled to investigate the technique of wood-bending by the creation of a seat-free chair? The ethos of the ‘Arm’ chair is very contemporary – beautifully crafted, simple in shape and with a mid-20th century modern vibe. It’s also witty. Who would think to design, then create a chair that is expressly useful only in conjunction with another, smaller, seat of choice? Well no-one – you may once have thought.